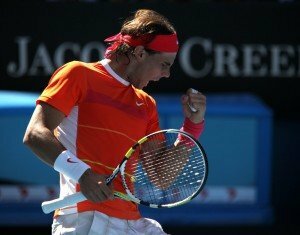 The number 1 male tennis player in the world, Rafael Nadal (Rafa), became the seventh man to complete the career Grand Slam, and the youngest to accomplish the feat in the Open Era at 24 years of age! Being mentally and physically fit. Having and listening to mentors and coaches. Open to change to make things better. Daily focus, intensity and commitment.